Welcome to Texas A&M International University (TAMIU) and the Division of Student Success! It’s our proud mission to help you enjoy a seamless transition to TAMIU and your continued progress here. We’re all committed to your success and our partnerships with your high school and our communities deepen our commitment to your educational achievement. Here at TAMIU you’ll have a true international experience as you learn and live on campus. You’ll join over 6,400 students from across the nation and around the world. Equally diverse is our gifted faculty and dedicated staff. The Division of Student Success is dedicated to cultivating an environment of respect, integrity, service, and excellence. Through motivation, accessibility and support, we empower our diverse student population to develop their greatest potential that continues beyond graduation. The Zaffirini Success Center (ZSC) is a one stop shop model. Prospective and current students will be able to access needed services to apply for admission, take placement exams, register for classes, apply for financial aid, request transcripts, pay for classes, buy books, and obtain academic advising services all under one roof. 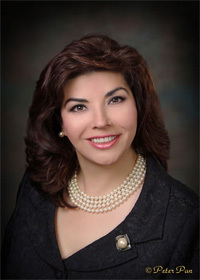 The University Success Center is being made possible by State funding initiated by Senator Judith Zaffirini (D-Laredo) in the 2006 legislative session. We' re all proud of our nearly 80 undergraduate, graduate and doctoral programs that can only help you succeed and truly help you obtain you the life you want and deserve. Again, we welcome you to TAMIU and pledge our total commitment to your success. Please stop by and visit and we’ll discuss any special needs or concerns you might have.